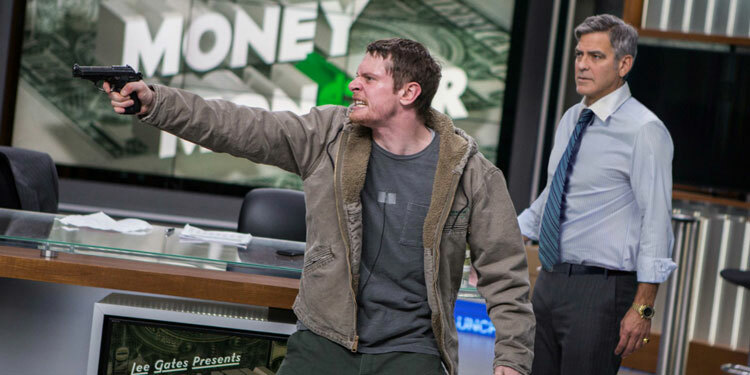 George Clooney and Julia Roberts are teaming up again for the drama/thriller Money Monster, and they’re bringing on Jack O’Connell for the ride. And as this is Clooney, you shouldn’t be too surprised that the movie tries to mix entertainment with a few social issues. The film will be out in the US in March, but won’t reach the UK until May. Take a look at the first trailer below. I love sci-fi and to say I was looking forward to this film is an understatement. I am a huge fan of Brad Bird’s previous work, The Incredibles (2004), and his first live action film, Mission: Impossible – Ghost Protocol (2011), is one of the best entries in the franchise. His films have a trademark sense of kinetic fun and action, mixed with well-formed characters and witty dialogue, which is the perfect mix for any summer blockbuster. 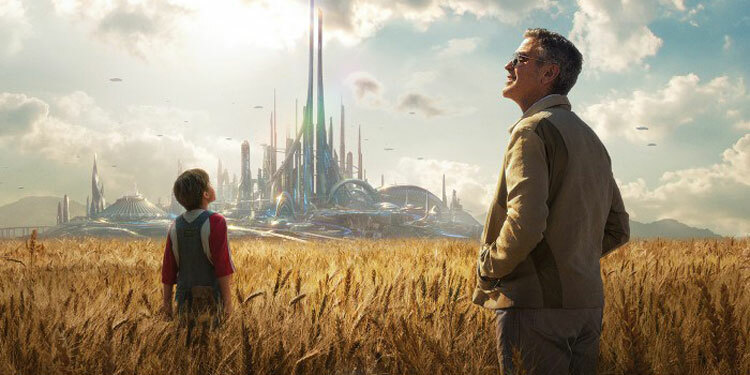 George Clooney has generally shied away from blockbuster type movies, but he’s hoping he’ll have a huge hit with Tomorrowland: A World Beyond – as is Disney which has spent $150 million to make the movie. Now a new trailer has arrived. Here’s the synopsis: ‘From Disney comes two-time Oscar® winner Brad Bird’s riveting, mystery adventure “Tomorrowland,” starring Academy Award® winner George Clooney. Bound by a shared destiny, former boy-genius Frank (Clooney), jaded by disillusionment, and Casey (Britt Robertson), a bright, optimistic teen bursting with scientific curiosity, embark on a danger-filled mission to unearth the secrets of an enigmatic place somewhere in time and space known only as “Tomorrowland.” What they must do there changes the world—and them—forever. Disney is betting big this summer of Tomorrowland (or as they now seem to be trying to call it, Tomorrow Land – A World Beyond) as they’re hoping that it won’t just make a load of money at the box office, but could become a franchise and even help spearhead the rejuvenation of the Tomorrowland section of the Disney theme parks. And we have to admit, it does look kind of cool. 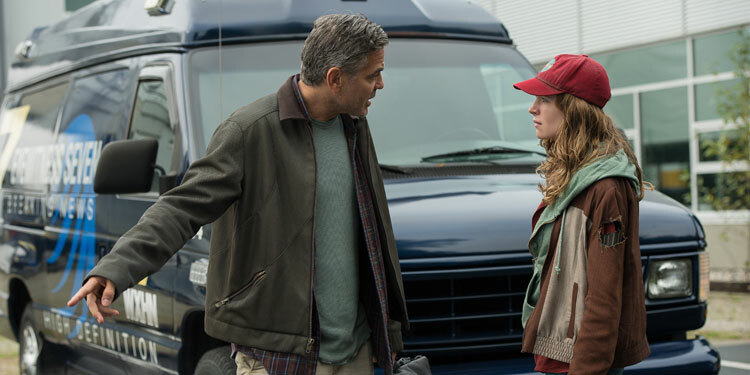 Now a full trailer has arrived so we can get a better look at the George Clooney starrer. Here’s the synopsis: ‘From Disney comes two-time Oscar® winner Brad Bird’s riveting, mystery adventure “Tomorrowland – A World Beyond,” starring Academy Award® winner George Clooney. 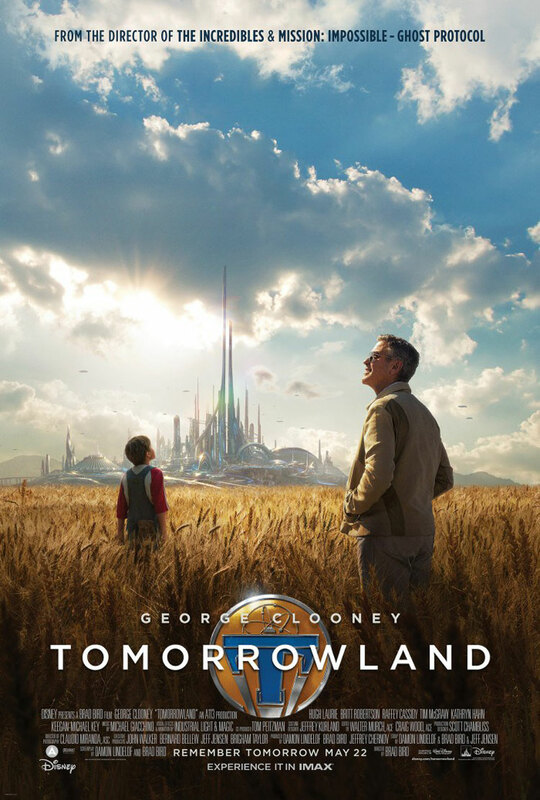 Bound by a shared destiny, former boy-genius Frank (Clooney), jaded by disillusionment, and Casey (Britt Robertson), a bright, optimistic teen bursting with scientific curiosity, embark on a danger-filled mission to unearth the secrets of an enigmatic place somewhere in time and space known only as “Tomorrowland.” What they must do there changes the world—and them—forever. ‘Featuring a screenplay by “Lost” writer and co-creator Damon Lindelof and Brad Bird, from a story by Lindelof & Bird & Jeff Jensen, “Tomorrowland – A World Beyond” promises to take audiences on a thrill ride of nonstop adventures through new dimensions that have only been dreamed of. ‘The film also stars Hugh Laurie as brilliant scientist David Nix, Raffey Cassidy, Tim McGraw, Judy Greer, Kathryn Hahn, Keegan-Michael Key and Thomas Robinson. While the summer movie season is always jam-packed with sequels and properties that are already well-known, there are always a couple of big movies that don’t have a built in audience trying to hit it big. Tomorrowland is one of those for 2015, as despite being named after a section of Disneyland, it’s a completely original story. Indeed, many believe Disney’s hope is that if the film is successful it will help that section of the park and spark a complete revamp, rather than the other way around. 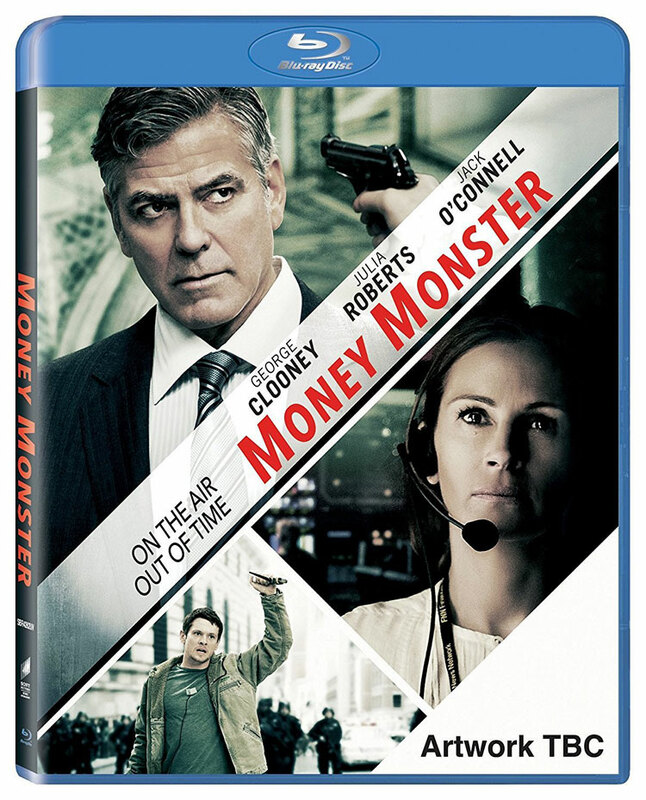 Jodie Foster is stepping behind the camera again for Money Monster and she’s building a great cast to do it. George Clooney has been attached for a while, and now THR reports that Julia Roberts and Jack O’Connell are in talks to join him. The film is about Lee Gates, a TV personality whose insider trading tips have made him the money guru of Wall Street. However when Kyle, a viewer who lost all of his family’s money on a bad tip from Lee, holds Lee hostage on air, ratings soar as the entire country tunes in to this media frenzy to find out just how much a man’s life is worth. O’Connell will be Kyle, while Robert will be the show’s producer, who must help uncover the truth behind a tangle of big money lies in order to keep Gates alive. The near real-time drama is set to shoot sometime next year. Disney and director Brad Bird have been keeping their cards very close to their chest about Tomorrowland. However New York Comic Con is where they’re chosen to start the hype, keeping the intrigue by giving us a poster, pics and a teaser trailer that give us glimpses but don’t show us too much. As you can see from the teaser, it looks like it could be pretty cool. Writer Damon Lindelof has compared the film to Steven Spielberg’s Close Encounters of a Third Kind, saying that it is all about discovery. If you’re wondering what this has to do with the part of Disneyland of the same name, the movie apparently suggests that it may have been a trip Walt Disney took to the enigmatic Tomorrowland that inspired his park.